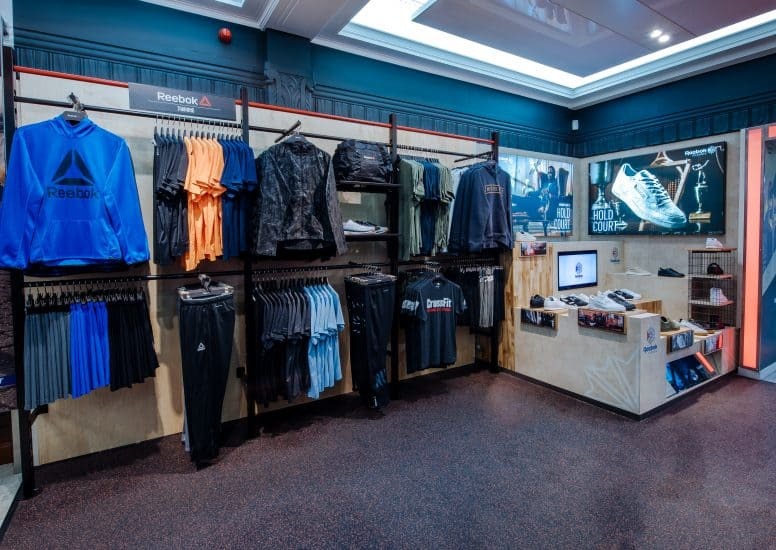 Following the successful launch of the adidas concession in Greaves, Glasgow; we were asked to create a dedicated space for Reebok within Scotland’s most loved sports store! 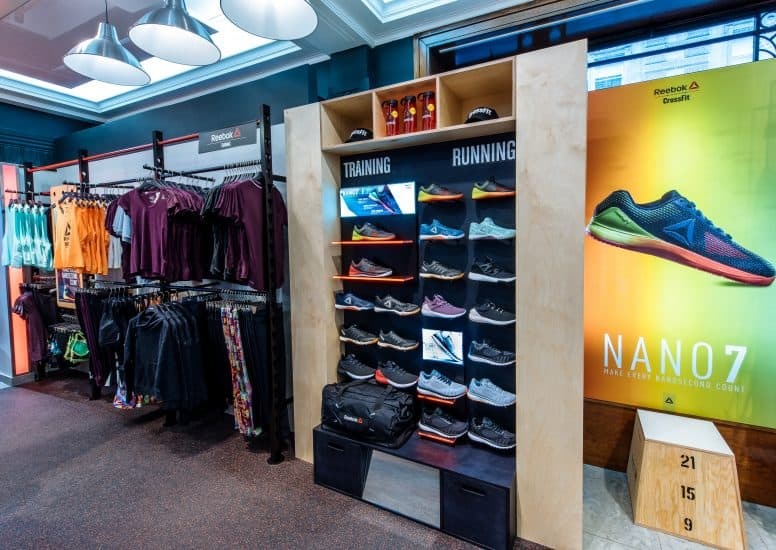 The new space features a range of Reebok’s various collections such as Reebok Classics, Reebok Training and Reebok Crossfit. 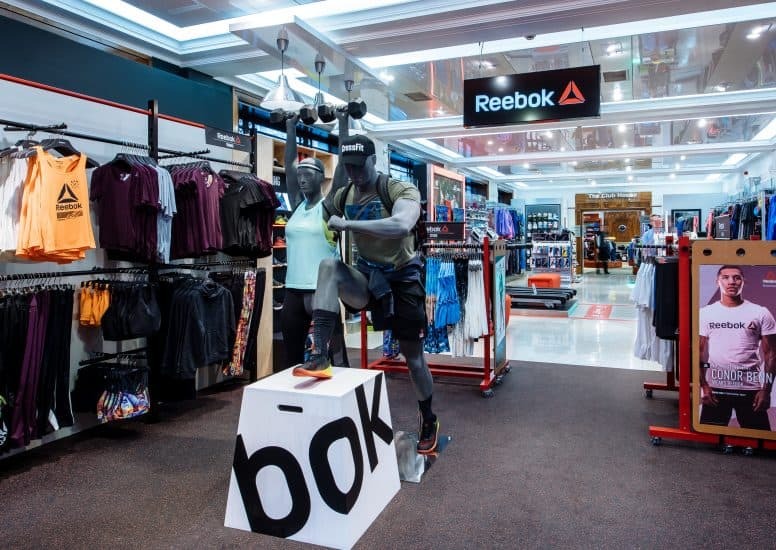 Upon entering the space, eyes are immediately drawn to the centre floor mannequins; the grey figures modelling some of the in-store merchandise whilst also replicating common fitness stances using the Reebok branded block. 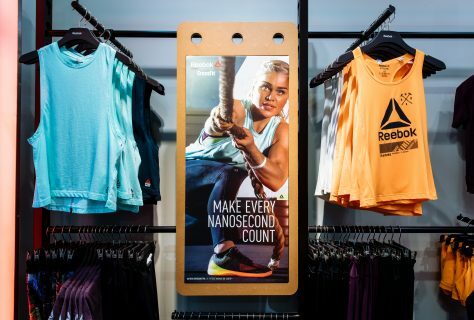 With crossfit-inspired fixtures and gym-style flooring, the new space epitomises sports retail at its finest! The space also features new statement lighting, large scale graphics and very on-trend materials including extensive use of light wood. 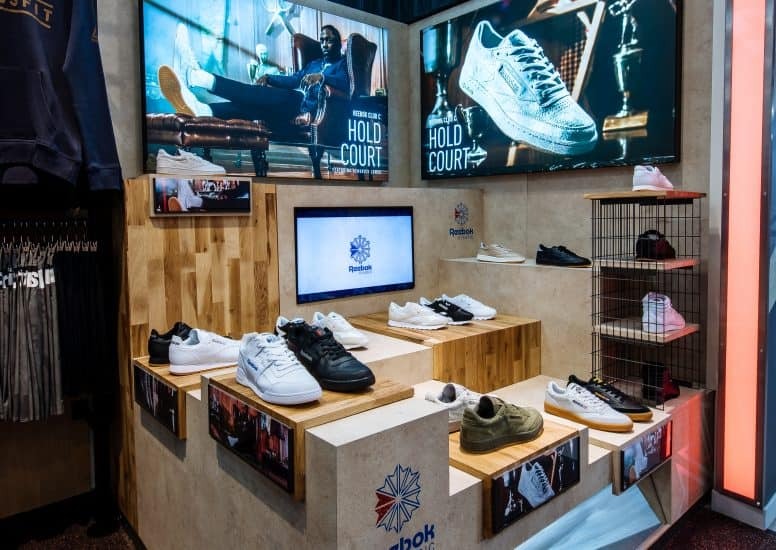 The Reebok classics area features a fusion of wood and concrete material, combined with digital screens for a striking display highlighting the comeback of the Reebok Classic trainer! With varied heights of blocks and cages, the display showcases the trainers in all of their glory. 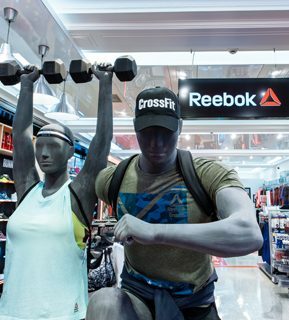 We may be biased, but we think the new Reebok space in Greaves highlights their collections perfectly!